A sebum-controlling sunblock that doesn't leave streaks or residue. 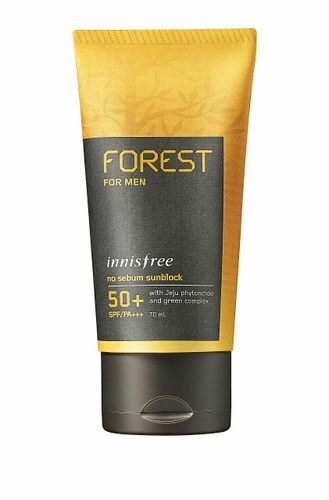 Infused with Jeju Gotjawal Phytoncide, Innisfree Forest For Men No Sebum Sunblock works on men's skin to fight the signs of fatigue. It protects men's skin from harmful environmental stresses to keep it healthy and nourished.